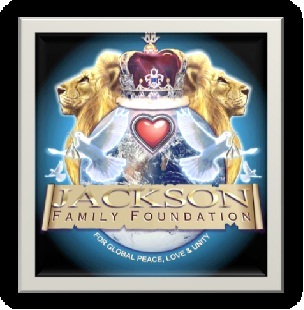 The Jackson Family Foundation will be welcoming all cast members to join the "Jackson Week of Celebrations" starting May 19th till May 25th, 2012. In the presence of Mr. Joseph Jackson himself, at villa Oxygen. Synopsis: "Jeremy, a curious boy discovers the brutal world of his father, a Colonel veteran, suffering from isolation, steals a box of toy soldiers and is soon to dive into a battlefield of his own creation." Starring: Gary Stretch, who plays the role of the father in Green Is Red. He is known for his roles in "Alexander" by Oliver Stone. Stretch has an upcoming release on his film "Savages," set to hit theaters summer 2012. Nathan Blaiwes - plays the role of Jeremy, and is known for his roles in "Modern Family" and My Pure Joy. Mary Mackey - Plays the role of the mother. Mackey is known for her roles in Broken Arrows and Sprawl. Mr. Simon Sahouri, President of the Jackson Family Foundation, is pleased to announce the final event of the Jackson Family Foundation week long celebrations during the 2012 Cannes Film Festival will occur Sunday, May 27, 2012. Mr. Simon Sahouri, President of the Jackson Family Foundation is pleased to announce that Mr. Joseph Jackson, father of Michael Jackson, is to attend this years' Cannes International Film Festival.